The Pagani Huayra is just as beautiful on the inside as it is on the outside. 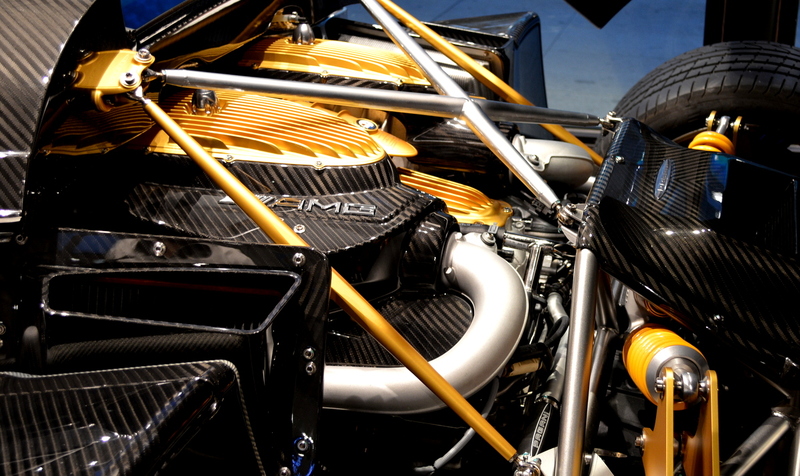 Built with gold, titanium and carbon fiber, this engine bay is truly a work of art. Posted in Automotive, PhotographyTagged AMG, engine, Pagani HuayraBookmark the permalink.